Jan is a gem. She is literately crafting out of a box because of her move! 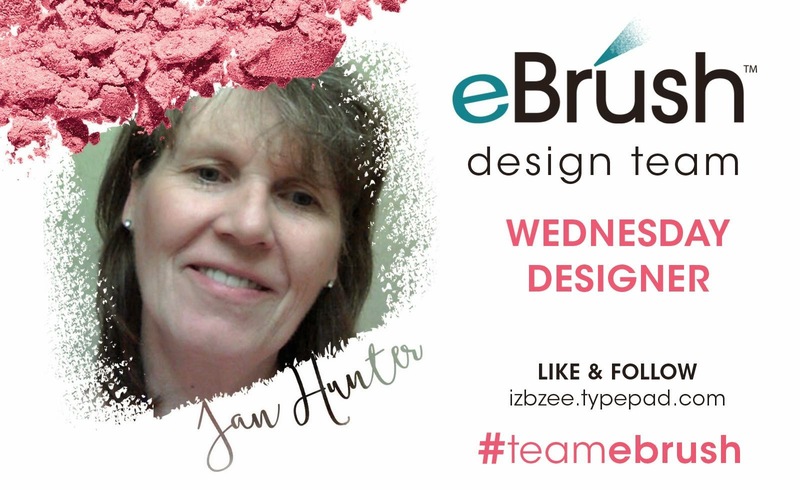 I admire her gusto for crafting and her love of the eBrush. We're still unpacking... our new space is finally becoming ours. It feels good. Using SvgCuts' file, 3D letters and MyScrapChicks file Winter Paver Favors, Boxes and Cards (Penguin box), this project now resides on our mantel for the time being. Cut all pieces. Glue the sides and back of each letter together. Before gluing the top cover on, add some rice to the inside of the base for weight and stability. Glue the cover -- Set the bases aside. See the basics of construction in this video. 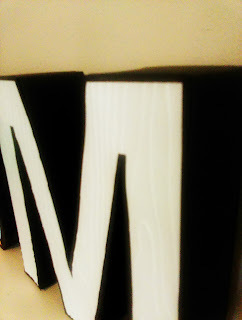 The faces of each letter (gray) were embossed using the Cut n Boss and the wood grain folder. 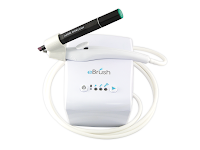 Spray the face with the White Sharpie using the eBrush. While this detail doesn't show up particularly well in the photo, IRL, it does add another layer of texture to the embossed pieces. Glue to the base. TIP: Make sure that White Sharpie is flowing, by pressing the nib a couple of times to bring the "paint" to the tip of the nib. Insert into the SP adapter on the eBrush. Spray as desired. Glue the 2 side pieces together and fold the tabs. Glue the box bottom to the sides and the liner to the inside of the box. Repeat the same process for the box lid. For the face of the box, using the ebrush and a blue marker, spray the the penguin body. Spray each of the embellishment pieces in their appropriate colors and glue in place. 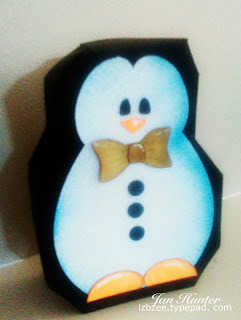 Glue the Penguin body to the top of the box. For a little more stability if desired, add a bit of rice in the box, and glue the lid in place. I plan on making several more "boxes" for different holidays and maybe even a few that may represent the seasons or months. I see this as a fun project and hope you will too. Happiness is crafting and creating! Have fun!